The day after my dad's funeral I took what I thought was a well-earned day off. It had been a long and emotionally difficult week getting everything arranged, but thankfully the day itself went according to plan and I felt I gave my fantastic dad the send-off he well deserved. The next day, last Tuesday, felt a bit strange. Life sort of just goes back to normal, when for anyone who is grieving and has a sense of loss, life is anything but. It was a beautiful day. I needed to get out so birding came to the rescue. It's such a fabulous way to force your mind to focus on other things. 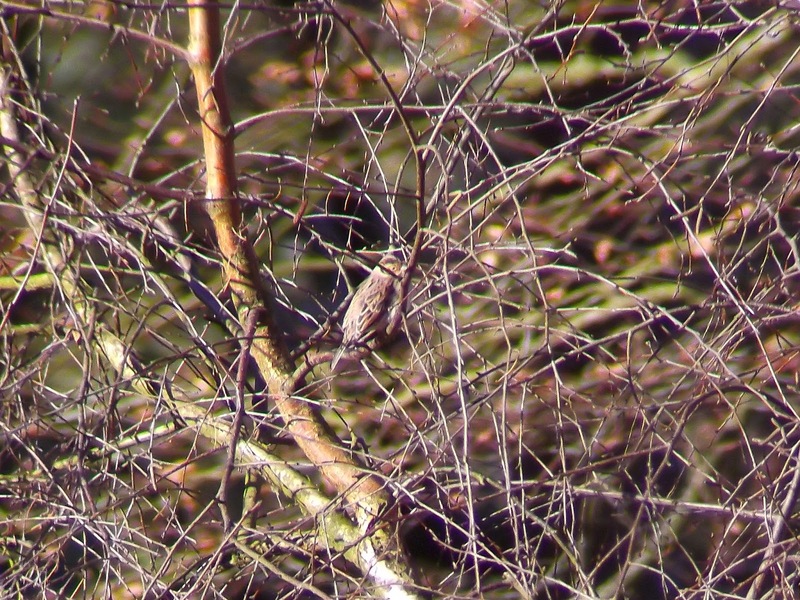 I decided to travel to Old Lodge on Ashdown Forest to see if I could find the Little Bunting that had been there for some days. When I arrived there were, predictably, plenty of birders around and I met up with a group some 400 yards along the fence line from the car park. They were all looking at an area of long grass with a fallen tree across it. The Bunting had, apparently, been seen on telegraph wires earlier in the morning at about 8.30am. It was now 11.30am, and it not been seen since. While we all stood around an waited, a Woodlark perched up on a wire and a Raven was heard calling. There were plenty of Reed Bunting, a flock of which the Little Bunting liked to keep company with, but it still failed to show. While conversation passed the time it became clear the bird wasn't going to show for a while. A birder I've met on a few occasions recently called Alan, who was originally from New Zealand (but I can never remember his surname) opted to take a walk down the track a bit further, and I decided to do the same thing but from the other side of the fallen tree. 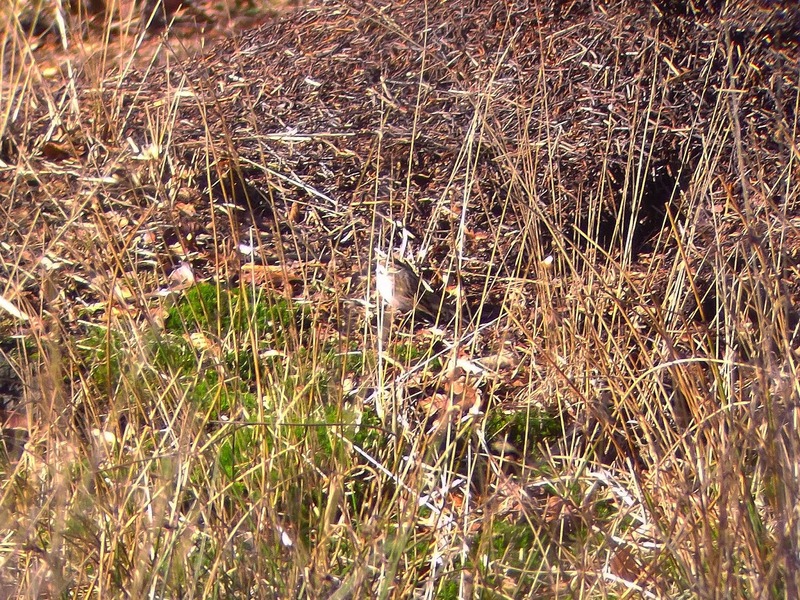 As I took a circuitous route near where Alan was scanning the trees, a flock of Reed Buntings flew up out of some grass. There were quite a few of them and it looked promising. As they made their way through the trees, heading back to the favoured fallen tree, we all hurried back to our original vantage point. Geoff Gowlett was on to a promising looking bird but then it dropped out of sight. 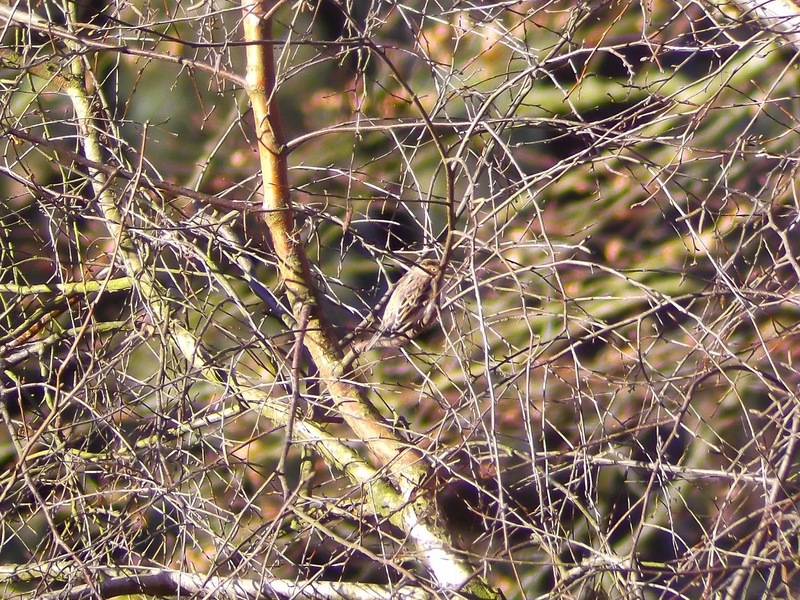 Then I spotted what looked like a small Bunting perched high up on a branch of the fallen tree. 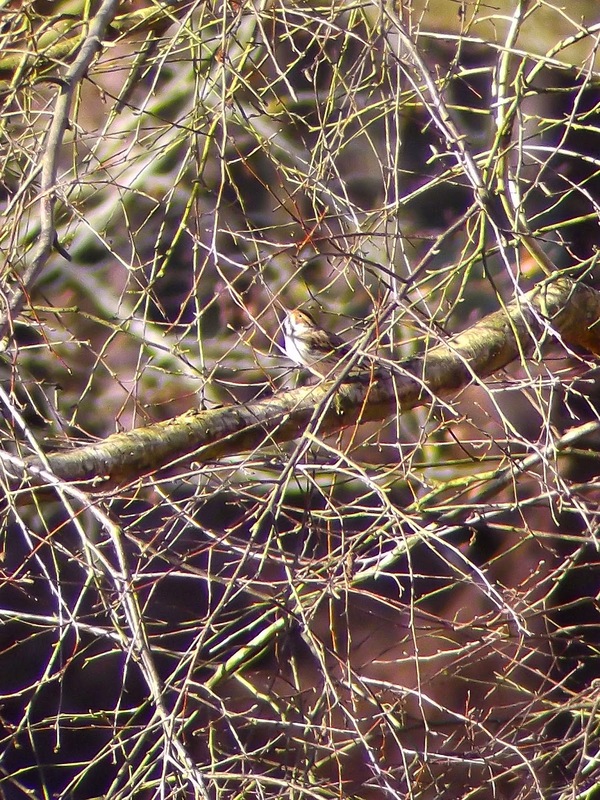 It had a dark brown crest with a lighter brown wide strip through it and the bird appeared to be significantly smaller than a Reed Bunting. 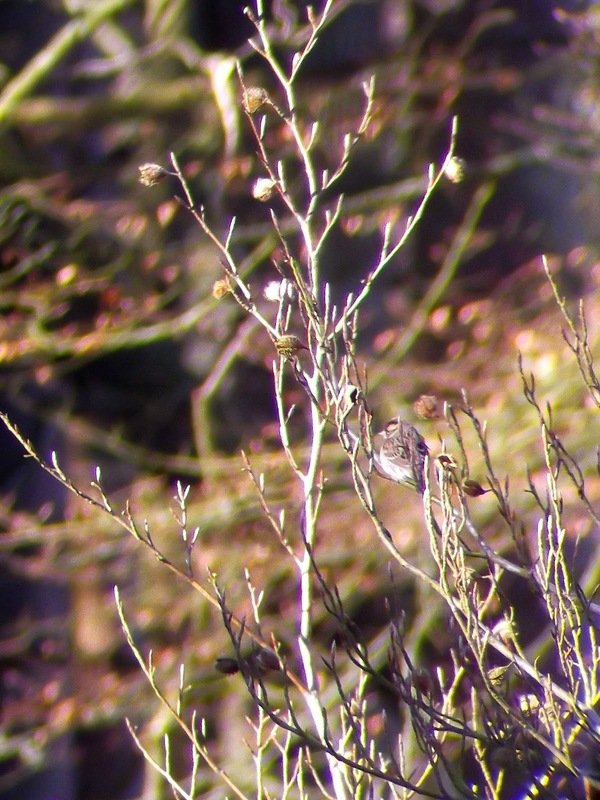 Alan checked it out and confirmed it was indeed the Little Bunting. A result. For the next 20 minutes or so we had very good and enjoyable views of this scarcity in the sunlight as it stayed in the vicinity. 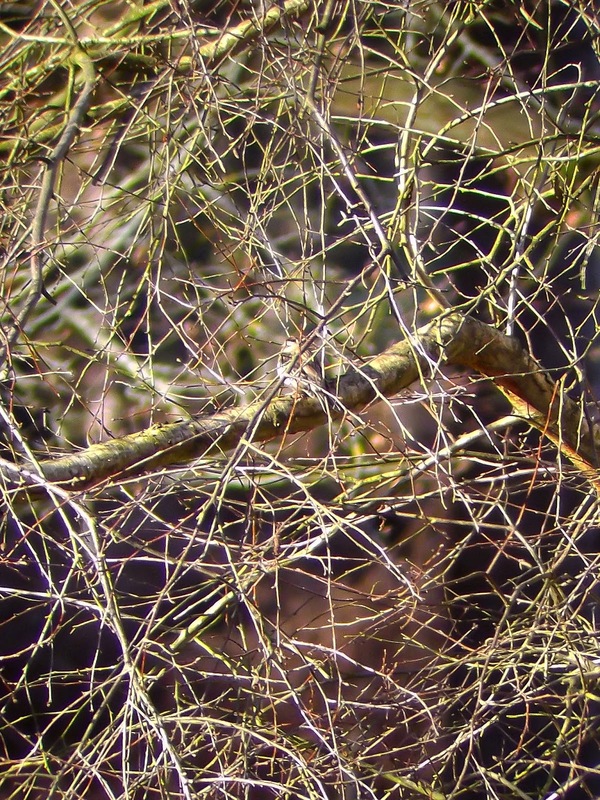 It dropped down to feed next to an anthill, still in view, before flying back up into a silver birch. It is always a relief when a twitch goes to plan and particularly on this day.